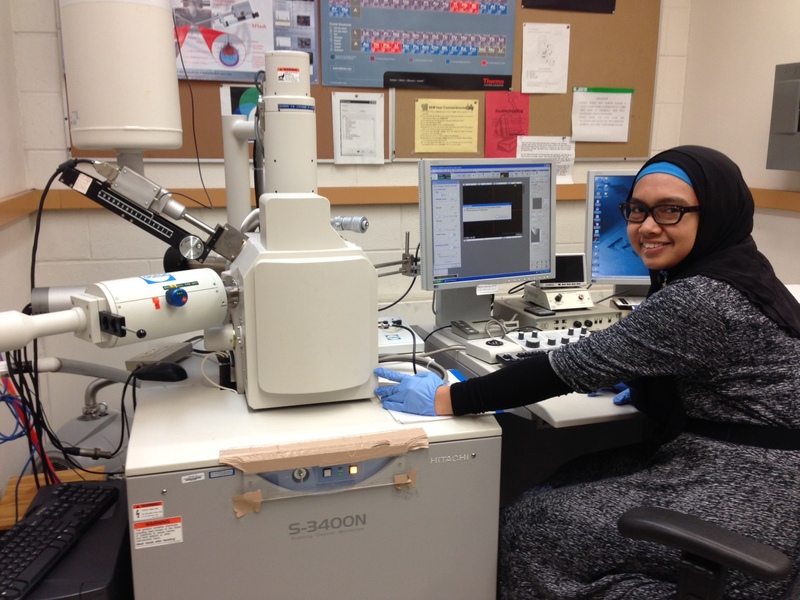 Salsibila using the Hitachi S-3400N SEM in the Cameron Lab to identify sanidine phenocrysts from a Cretaceous bentonite sample.. The lab features a Hitachi S-3400N variable pressure SEM, with a tungsten filament that can deliver at least 50 nA of beam current, for CL and BSE applications. It has a Gatan PanaCL/F cathodoluminescence detector (with retractable parabolic mirror and filters), a ThermoElectron/NORAN System Six EDS detector with a thin window capable of detecting elements down to carbon; and an Oxford/HKL BSE system with backscatter and forescatter detectors. 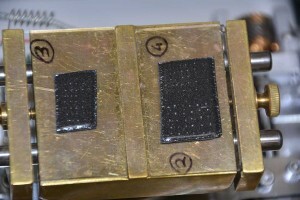 In variable pressure mode, nonconductive samples can be imaged. 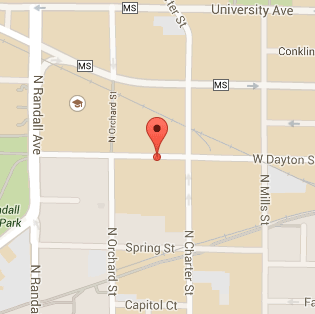 This laboratory is managed full-time by a Research Scientist, Dr. John Fournelle. The lab will houses a new Cameca SXFive Field Emission instrument that has 5 spectrometers, fitted with 14 crystals for optimal study of volcanic glasses (3 TAP crystals for simultaneous measurement of Na, Al and Si). Additional features include an SDD EDS system, with the goal of integrating WDS and EDS under the Probe for EPMA software, which provides a large number of other enhanced productivity features (e.g. fully quantitative X-ray maps using mean atomic number background modeling and matrix correction). The UW Microprobe Lab is one of the few labs in the world experimenting with low voltage EPMA. In order to utilize the ~100 nm beam size of the Field Emission electron gun to achieve sub-micron quantitative analysis, the beam voltage must be dropped from 15 keV down to 5-8 keV, which necessitates using non-traditional X-ray lines for several critical elements. This has been done now by UW microprobe researchers, using a field emission microprobe in Europe, and with the delivery of UW’s own Field Emission microprobe, experiments will increase to apply this approach to EPMA of phases down to 300 nm in a variety of geological specimens (e.g., melt inclusions, oxide and pyroxene lamellae, honeycombed amphiboles in pseudotachylite). The lab is directed by Dr. John Fournelle, who has 30 years of experience with electron probes, directing the Madison lab for 22 years. The new electron microprobe will be the 4th such instrument in the UW Geoscience Department, following the ARL EMX installed in 1967. 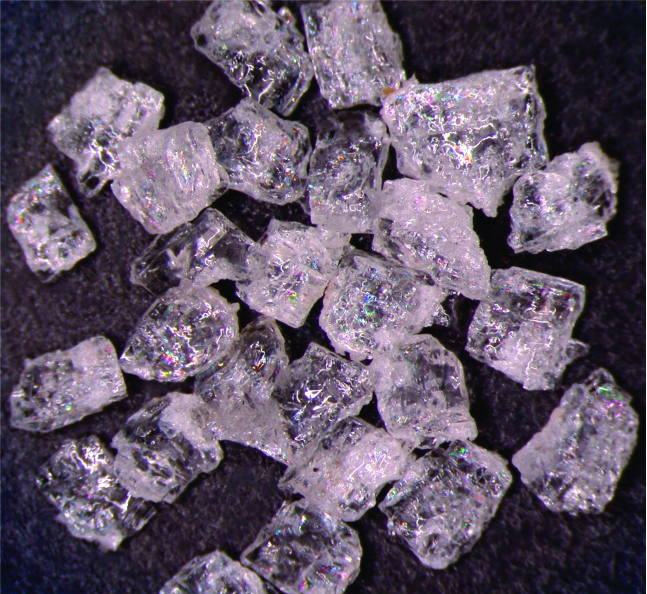 Double-sided carbon tape, about 1 cm wide, is used to mount clear crystals, usually a mixture of quartz, plagioclase and sanidine as shown on the two tape strips. Using the SEM, potassium-rich sanidine crystals are identified and mapped. 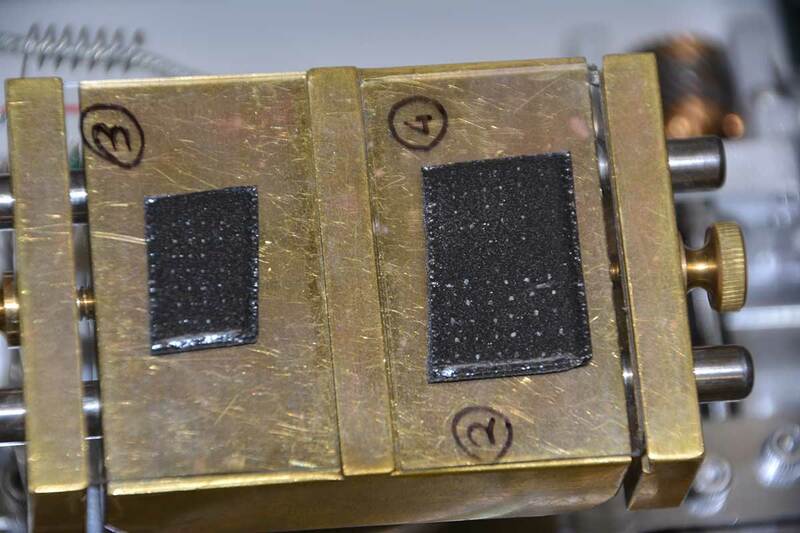 These can then be removed from the carbon tape for irradiation and 40Ar/39Ar dating experiments. Sanidine phenocrysts isolated from the Bishop Tuff. Each crystal is about 2 mm in length; the field of view is about 1.5 cm.